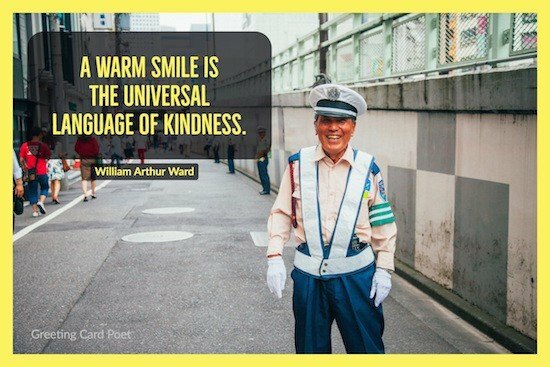 Kindness Quotes capture some of the warmheartedness that makes the planet a nicer place to live. Everyone from a child to an adult understands the importance of affection, gentleness and care. It’s been said that kindness is a language that everyone understands. Not only will others value you more; but it will also help you directly. It seems the most successful people come to realize the importance of kindness at one time or the other in their lives. They make it an integral part of their life. Here are some of the most memorable thoughts on being kind. Live your life in such a way that you’ll be remembered for your kindness, compassion, fairness, character, benevolence, and a force for good who had much respect for life, in general. Be kind to the things which are unimportant for you because at any time life can make them very important for you. Be soft, sweet, kind, and wild to be wonderful. So what if you’re right? So what if you’re wrong? In the end you might be surprised to find that God doesn’t care so much about whether you were right or wrong but whether, despite it all, you were kind or cruel. 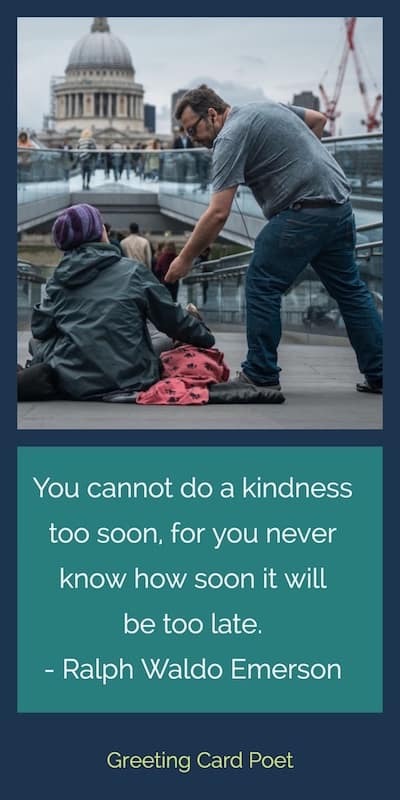 Tip: These kindness quotes make excellent photo captions on social media like Facebook and Instagram. Let your intentions be good – embodied in good thoughts, cheerful words, and unselfish deeds – and the world will be to you a bright and happy place in which to work and play and serve. It’s so easy to laugh It’s so easy to hate It takes guts to be gentle and kind. Love is patient, love is kind. It does not envy, it does not boast, it is not proud. 5It does not dishonor others, it is not self-seeking, it is not easily angered, it keeps no record of wrongs. Love does not delight in evil but rejoices with the truth. 7 It always protects, always trusts, always hopes, always perseveres. Kindness in words creates confidence. Kindness in thinking creates profoundness and kindness in giving creates love. You are not here in the world for yourself. You have been sent here for others. The world is waiting for you. Times change, people change, thoughts about good and evil change, about true and false. But what always remains fast and steady is the affection that your friends feel for you, those who always have your best interest at heart. Kindness is universal. Sometimes being kind allows others to see the goodness in humanity through you. Always be kinder than necessary. 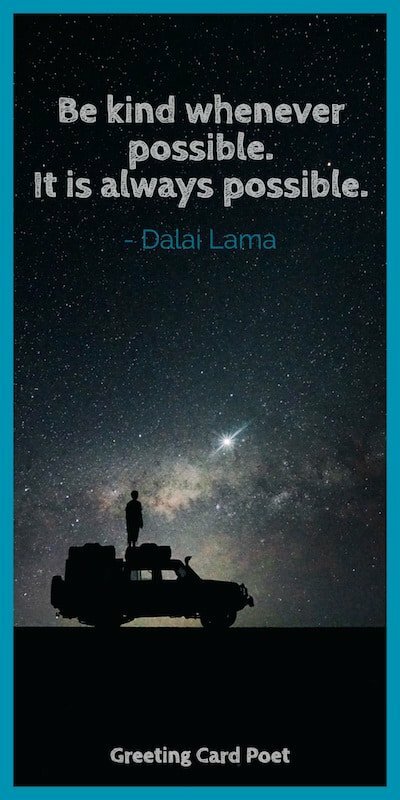 Plato – You might like Plato Quotes and Images. There is hunger for ordinary bread, and there is hunger for love, for kindness, for thoughtfulness, and this is the great poverty that makes people suffer so much. When perception, thoughtfulness and understanding do meet, we can fashion a range of viable expectations and craft a world of togetherness. If there were one word that could act as a standard of conduct for one’s entire life, perhaps it would be ‘thoughtfulness. You’re on Kindness Quotes page.